Thank you so much for this post! So encouraging! As I continue to study the Bible I come to the conclusion the final judgment is not everlasting torment, but to perish. To finally cease to be. But Jesus has defeated sin. He has defeated death. He said if He be lifted up He would draw ALL men to Himself. Scripture says He is the Savior of ALL, especially them that believe. If in Adam's fall we all were confined under sin and death (in Adam's fall we sinned all) then in the new Adam, the reversal of the curse would leave all benefitting from Christ. Do I believe in a tortuous hell? Abso-dang-lutely BUT throughout scripture I believe those fires are shown to refine. I cannot explain how or what happened when Jesus went and preached to the souls in prison but He did. I believe the gates of hell cannot prevail against the church or against Jesus. Cannot keep people in. So thank you for putting a name on my beliefs. I'm hopeful. That doesn't mean I believe you sin all you want and then die and go enjoy heaven. But I am hopeful that a patient God, not willing any should perish but ALL should come to repentance, can effect a total triumphant defeat of Satan. I believe one day every knee shall bow and every tongue confess Jesus Christ is Lord, which pretty much sums up what is necessary for salvation. So I live in hope, and in trust, and never want anyone to mistake that for a faith that makes light of in and its consequences. You bet, George, thank you for the comment! My desire is for Christians to realize that as long as you emphasize the love of God for sinners in Christ Jesus, you are preaching the gospel, regardless your opinion on the extent of the atonement. Makes light of sin, not in. Fat fingered typing I guess. Thanks, Linda, for your comment. Christians have disagreed over the extent of the atonement for centuries. I call any person who trusts God's love and the power of Christ's cross a fellow believer, regardless of any disagreement over the extent of the atonement! Thank you for this, Wade. Something I needed to be reminded of at this time. Particularly my need to re-engage with George MacDonald. George McDonald is an amazing writer. I've profited from his work immensely. So Dr. Mohler's 'limited atonement' understand does not accept the Eastern Orthodox rationale of the importance of the Incarnation salvifically. On the other hand, in our Western Christianity, we who are 'orthodox' do still hold to 'choice' .... that we are not 'robots' and if we are ABLE to be saved, we still are the ones who voluntarily cry out for help and reach out our hands to Christ to save us from drowning. So Alfred Mohler's theology rejects this understanding of human 'choice' also, and instead applies the deterministic rules of predestination rather than 'choose life, that you may live'. It looks like Williams ALSO rejects 'choice' in favor of the power of God's love overwhelming the ability of a human person to reject His love. all Christian people believe that if anyone IS saved, Christ does the saving..... and in my Church we are not into underestimating how Christ goes about His work of salvation in any way .... we think He can be trusted to do it as it should be done, not limited by our pitiful 'theological' and rational constructs. Wow! This is a great post! 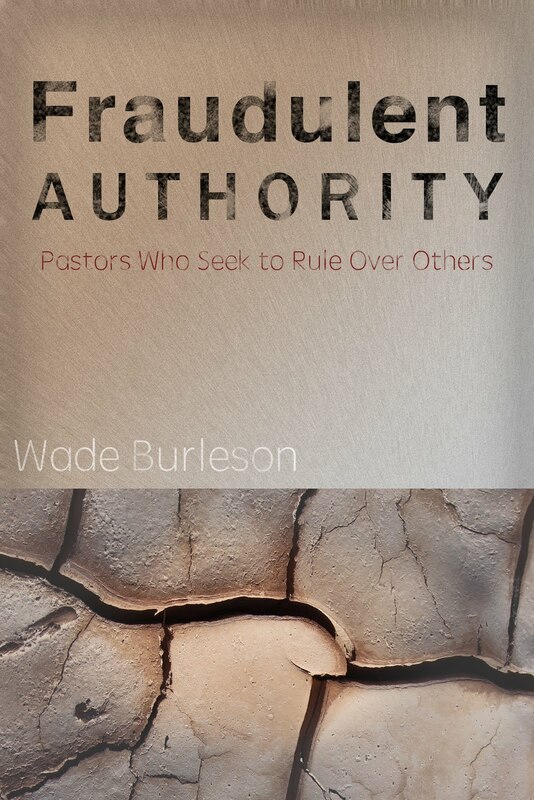 I love it when Wade gets into Calvinism stuff. Only God knows the answers, but we can sure strive and study and pray to understand His way and plan. It's critical that we do if we intend to teach and explain The Gospel message. I view it as God universally loving all people. Christ died on the Cross to pay the penalty for ALL people. But only those who receive God's offer of redemptive love are born again and become God's children; hence, "the elect". Wade loves ALL people and loves his church members and close friends even more than he does some of us who he does not personally know nor has met. But he loves his children more than he does anyone. God loves His children, those who have been born into His Father-child relationship, more than anyone and they are the only ones who receive His inheritance of an eternal, Father-child relationship with Him. But God's Word makes it clear, to me, at least, although obviously not to many others, that the key to being "born again" is that each person has to make the decision to "deny yourself, take up your cross daily, and follow me." I mentioned 'Williams' when I meant to type 'Young'. Please excuse error on my comment above. The gospels,"are written so that you may believe that Jesus is the Christ,the Son of God, and that by believing you may have life in his name". I have come to a place of not being willing to label anyone who demonstrates in life and word that they are trusting in the finished work of Christ for their eternal security. Our Father, alone, knows whom are His, and my task is to declare the Gospel to all who will listen. The results are His! The thought has often occurred to me, that some who hold to particular theologies will be surprised that some they accused of heresy will be with Christ! Thanks for the comment. You are correct of their being a "third" way to view the atonement. That way is for Christ to die for every sinner without exception, but only those sinners who "receive and believe" the atonement are reconciled to God. Paul Young, C.S. Lewis, George McDonald, Al Mohler and the others mentioned in this article do not accept the "third view" is logical or possible because of their view of the atonement. Sin is an offense to a holy God, so the question becomes "how does a holy God deal with sin." In the third view, it's sinners doing something to appease a holy God. In the two views mentioned in the article, God is doing the reconciling of sinful man through His actions, not the sinner's. "For by grace are you saved through faith, and that (both grace and faith) are not of yourselves, it is not of works lest any of us boast" (Ephesians 2:8-9). This is also why Jesus is called "The author and finisher of our faith," for "He who began a good work in us will carry it on to completion." So if Job is correct and "salvation is of the Lord," then the question becomes "whom does the Lord save"? I agree with you. The Lord Jesus may be doing some gentle correcting when we first get to heaven of many of our wrong views! Good stuff Wade. I am in the same camp as you in regards to the doctrines of grace but aware enough that calvinism is a human-constructed theology to try and explain an absolutely sovereign God. I often remind my fellow calvinists that those of us who claim to believe so deeply in the sovereignty of God in salvation are often the ones who are so quick to dismiss any variance of belief outside of our own system. My heart longs for universal reconciliation to be true but I simply can't reconcile it with Scripture ... which leaves me with a selective view of the atonement. So it's grace all the way for me. I never even like mentioning John's name. It's only Jesus. Anyway, I'm glad to see someone (you) gets what I'm saying. Paul Young is now heretic. If anything, he's more orthodox on the atonement than most modern evangelicals. Even Lecrae got tossed under the "now a heretic" bus this week for promoting his soundtrack on The Shack movie ... which he admittedly never read the book but saw the film. I tell my group often that if our doctrines of grace are not big enough to include people whose theology make us uncomfortable, then we do not fully grasp sovereign grace. Wade I have never forgotten a conversation you and your dad were having when I was visiting in your Ft Worth home one time during our college years. You were obviously wrestling through this issue, which I had never even heard of at the time, and I remember very clearly your dad saying "Christ's death was sufficient for all, but efficient for the elect." It was all way above my head at the time, but it was very cool to remember that as I was reading this blog. I'm headed to a preview of this movie next Tuesday. Have never read the book but I'm aware of the accusations of heresy. Thank you for this! Wade, People are religious zealots for "Pilgrims Progress", "Lord of the Rings"," Lion Witch and the Wardrobe", all (IMHO) are in the same genre as "THE SHACK". Once again I see myopic closed minded Christians. I guess it will never end for the books I posted also had critics. I really do not care what Al Mohler's opinion is. I read the book for myself and thought about it and learned some things without his help. Great memory! Many years ago I rejected the "sufficient for all, efficient for the elect" argument. To me it sounded like, "God has enough life jackets in the boat for every person, but refuses to throw one to every person." It made no sense to me. So, I came to the historical position of Lewis, McDonald, Spurgeon, Gill, Sproul and a host of others who say the atonement is both sufficient and efficient for those for whom it is intended. Thanks for your comment Pege! I received the sweetest not from your daughter Annika! Hard to believe she is now a teacher in a public school! Wow, how time flies. But it sure is nice to hear from someone you haven't seen in years, and she graciously expressed her thankfulness for the impact of Emmanuel and my ministry on her life. Made my day! You raised a good one there! men because of his free love to mankind lost. There is good news for every man without exception. Christ is dead for him. And secondly, it preserved the New Testament’s emphasis not only on the fullness of the grace of Christ, but of the freeness of the grace of Christ. ….............For the offer of the gospel is not only a message about the fullness of Christ for all who will come, it is a message about the free grace of our Lord Jesus Christ bestowed not upon the righteous, but upon the unrighteous”. The Marrow Controversy is not as much different as the controversy over The Shack as some might think. Paul is a "free grace" man, and places all grace in the hands of a loving God through the work of the Spirit and the Son. Most modern evangelicals try to make a distinction between "atonement" and "reconciliation" by saying "Christ died for all, but not all are reconciled to God." Orthodox Christians - including Al Mohler and Paul Young, and John Gill, C.S. Lewis, William Tyndale, R.C. Sproul and many others - make no such distinction. In other words, atonement and reconciliation ARE THE SAME THING. When William Tyndale (the first English translator of the Greek Bible) needed a word to translate the Greek word katallage (reconciliation in Romans 5:11), he coined the word "at-one-moment" to describe how the death of Christ reconciled. So atonement IS reconciliation. Jesus died to reconcile sinners to God. Tyndale’s first use of the English word atonement is in his 1526 translation of the New Testament at Romans 5:11: “We also joy in God by the means of our Lord Jesus Christ, by whom we have received the atonement.” In addition to the noun atonement (Greek katallagē), two forms of the related Greek verb katallassō occur in Romans 5:10, which Tyndale translated as “we were reconciled” and “seeing we were reconciled.” The words in this passage in Classical Greek mean “to change from enmity to friendship,” or “to reconcile.” In the New Testament, the verb is used in one passage describing the reconciliation of one human with another (1 Corinthians 7:11), but it most often describes the reconciliation of humans with God (Romans 5:10–11; 2 Corinthians 5:18–20; Colossians 1:20, 22; Ephesians 2:16). So you are making the distinction between atonement and reconciliation. John Gill, C.S. Lewis, George McDonald, Paul Young, I and a host of others do not. You said,"The Marrow Controversy is not as much different as the controversy over The Shack as some might think." That's why I used those words of Sinclair Ferguson! You said,"Most modern evangelicals try to make a distinction between "atonement" and "reconciliation" by saying "Christ died for all, but not all are reconciled to God." CERTAINLY NOT I !! EMPHATICALLY I AGREE,"atonement and reconciliation ARE THE SAME THING." I agree with everything you've written. Absolutely!! My intention was to simply point out as Ferguson did that "the gospel of our Lord Jesus Christ is a gospel of free grace, that it is to be proclaimed freely to ALL", not as "what has become obscured in a mortified reformed confessional orthodoxy". Could you point out where I have made the distinction you suggest? You do not make the distinction between reconciliation and atonement. I apologize for not making clear in my commemt that I was not referrimg to you. I was addressimg a distinction Steve and others have made. For those interested, there are Baptists who are both Calvinist and universalist, the Primitive Baptist Universalists. I think you have to read the Shack with your heart. There are also many Biblical truths(which are in the Shack) that you have to read with your heart. 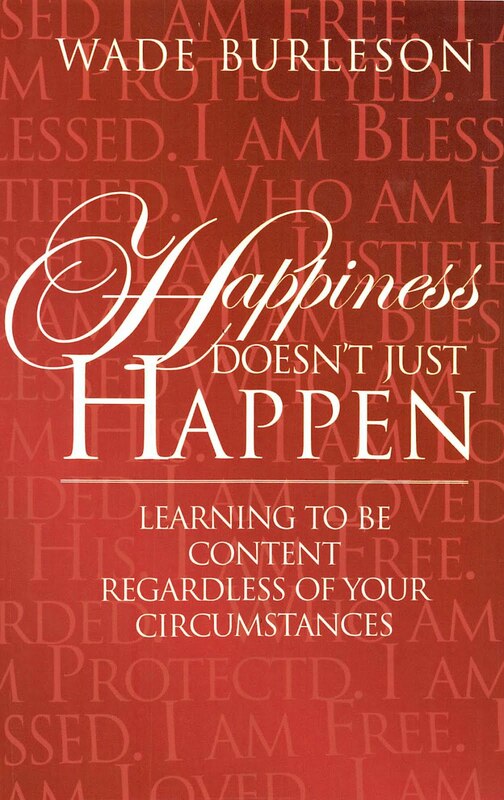 The message for me in reading this wonderful book is that God comes to us in whatever form we need. If it's a mother's love, he comes in that form, if it's as "Papa" that is the form he comes to us in. If it's all 4 forms depicted in the Shack, that is how He appears to us. The Bible is clear as to who God is and it seems to me that He is all the characters that Paul Young writes about in his book. I love this book. It was given to each member of my family as a gift from a good friend who we also do business with. For me it was a lifesaver as I was in such deep grief at the time I didn't think I could climb out.
" You are correct of their being a "third" way to view the atonement. That way is for Christ to die for every sinner without exception, but only those sinners who "receive and believe" the atonement are reconciled to God." Where we agree is at the important place of 'if a human person is saved, it is Christ Who does the saving'. HOW He does this cannot be boxed totally into our human understanding as to the limitations of His power or His will to save: that area belongs infinitely under His control and my Church acknowledges the fullness of His Lordship over Life. You don't think that this is dangerous to teach that if a person refuses to trust in the Lord Jesus in this life they can still be reconciled after death? Are those who refuse to trust in Christ in this life forever lost? How do you reconcile that with the following text? 1 John 5: 11 And the testimony is this, that God has given us eternal life, and this life is in His Son. I absolutely believes a person who does not receive Jesus Christ as Lord and Savior will perish. I also happen to believe in a God of persevering love, who compels people to love Jesus by His unrelenting love for broken sinners. Paul believes that unrelenting love is for every sinner. I believe that unrelenting love is for His people (Matthew 1:21). Both Paul and I believe those for whom Christ died are reconciled to God by His unconditional grace and unrelenting love. Paul says that unconditional grace and unrelenting love abides on sinners even during their judgment, and he is hopeful God will eventually, by His grace, bring the sinner in judgment to faith in and love for the Savior. I do not share that hope. Many of us who hope in universal reconciliation absolutely agree faith in Christ is necessary, as is repentance. But if God could reach Paul on the Damascus road we hope (not know, hope or perhaps believe)if He chooses He can reach anyone, even during the instant of death. Some believe in conscious torment to the end of this age. Others like the PBU believe hell is in this life. We just find ourselves believing John 3:17 as much as John 3:16. And would NEVER tell anyone they are safe to wait to accept Christ. Hell or annihilation are not something to be experienced even for a limited time. "Again, Dr. Mohler and Paul Young both believe the same thing about God's effectual love and the power of Christ to save. Where these two men part company is over "For whom did Christ die?" There is more to it than that. Mohler believes that God chose the person to be saved before the world was ever created. That person has no choice. Nor does the person NOT chosen to be saved by God. In some ways, he and Young are on the same page as in Youngs view, the end, God will override that persons will and save them anyway. What is left out is human abilitiy and choices. Wade, you don't believe that saying people have a chance after death to be reconciled to God is a dangerous belief? If you believe that they do perish if they do not trust Christ in this life, I just do not see how you can be Okay with universal reconciliation. Just as you and Mohler believe in the penal substitutionary view of the atonement of Jesus, could you explain why Young rejects this? He actually believes that view is false and dangerous. Does Young believe that the cross was God's idea? No. Does he believe in imputed righteousness? No. Was it a sacrificial death? No. His view of the cross is this God is in the midst of my sadness. It is hard to believe that you are promoting the movie and book. You shared Mohler's view, but not Young's. Is it heresy to deny that Christ did not die a substitutionary penal death? Paul Young believes that Jesus Christ died a substitutionary death. Read my next post. It's for you and others who think atonement is different from reconciliation. Both Al Mohler and Paul Young have the orthodox view that the death of Christ (atonement) is what reconciles sinners to God. "Read my next post. It's for you and others who think atonement is different from reconciliation"
Spurgeon preached; "The sins of man, the wickedness of our race, the crimes of nations, the iniquities of kings, the cruelties of wars, the terrific scourge of pestilence—all these things in some mysterious way are working the will of God! We must not look at it; we cannot look at it. I cannot explain it. I cannot tell you where human will and free agency unite with God's sovereignty and with his unfailing decrees. This has been the place where intellectual gladiators have fought with each other ever since the time of Adam." I believe this same sentiment could appropriately be applied to the issue of whether God determines the decision of people to accept or reject Christ or they choose from their own free will. Indeed, I (and I'm sure many others) will be anxiously awaiting this next post. Wade you say, "So go and enjoy The Shack. It is not heresy." Where would you say Paul Young is wrong in what he says about God in The Shack? Type your name. It's helpful for dialogue. Great post, and you didn't really even touch on the other issue related issue concerning the immortality of the soul (and how the church has dealt with that notion)! You wrote, "I understand Dr. Mohler's theology and happen to agree with it, though I prefer to call it "the doctrines of grace" because I see these doctrines taught in Scripture." This statement confuses me, as it appears to contrast, as if Dr. Mohler doesn't prefer to refer to the 5 points as "The Doctrines of Grace" as you do. I am guessing that that was not your intent. His "theology" would be "Calvinism" ("Calvinistic"), of which the "Doctrines of Grace" are a vital portion. Dr. Mohler refers to the portion of Calvinism [his theology] known as the 5 Points of Calvinism (TULIP) as "the Doctrines of Grace". What are your thoughts, then on Young's book "Lies We Believe About God?" Young seems to diverge even more from orthodoxy in that. 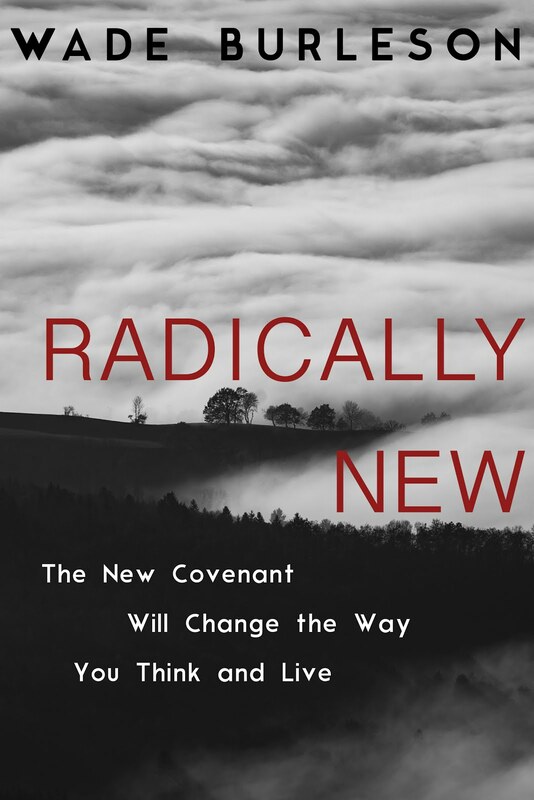 With all due respect, your appeals to Young's theological legitimacy seem to rest more on his character and your relationship than the treatise on theology that he offers in The Shack. Fiction or not, it would seem that the Shack's full purpose is to influence the thinking of its readers - something that can't be categorized under fiction alone; and while that's not the explicit point in your defense, that's certainly implied. Young's work, while packaged in narrative is designed to cast dispersion on historically held, and well defended Christian truth. In that sense, I would say that your recommendation for your readers to "enjoy" the Shack lacks qualifying at best, and is likely foolish or dangerous. Additionally, your defense of this position is dubious. Setting Young on the foundation of McDonald on the foundation of Lewis is fine in regards to the accountability of the larger body, but you failed to hold any of these men up to the light of scripture based on all of their statements. While that cannot be done for Lewis, McDonald, and Twain in a small space like a blog, Young has at least concisely exposed readers of The Shack, Eve, and Lies We Believe about God to a broader sense of his personal theology. This theology is worrisome considering his apparent fervor for 1)universal salvation (embraced in "Lies" and not qualified by "hopeful") 2)the elevation of man and the diminution of God, 3) the limiting of God's sovereignty, and his disdain for penal substitutionary atonement(calling the cross child abuse can't really be categorized any other way) and his doubt in inerrancy and sufficiency of God's word. We can hold this in the light of McDonald's and Lewis's questionable theological positions all we want and use that to justify Young's (a reverse ad-hominem?). However, those positions are defined by the men and not scripture itself. If we could demonstrate through the Bible the potential absence of Hell (we can't - Rev 21:8, 20:15, Matt 10:28, Matt 25:46, Luke 16:23 and others), then perhaps Young's hopeful universalism would hold water. Unfortunately, even a dismissive approach to universalism renders its holders in opposition to God's word; a position which opens up all sorts of problems that leaders in the church cannot afford to allow into the body, regardless of what Lewis, Piper, McDonald,etc. say. These men will be judged by God in the end, not each other. And their theology is ultimately subject to God's word, if Scripture is truly inspired. It is not subject to the words of their peers or ours. Based on your blog here, I'm afraid your respect and friendship regarding Young has a heavy influence on discerning whether his body of work is Godly or not. There is, of course, no problem with Christians having friends from different theologies, denominations, or even religions, but they cannot be given free pass as brothers when their fruit suggests otherwise. 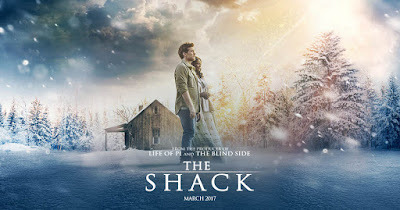 The Shack is, at best, a work without value to the body; most likely, it is poison to those who are not secure in the faith, especially as its author espouses as belief that denies the necessity for repentance to salvation. Can we really say that Young is a Christian in light of his own statements? When I was in-country in the Seventies, everything except Jack Chick and Hal Lindsay was Heresy. To Evangelicals, the definition of Heresy is "not agreeing completely with MEEEEEEEE". I have heard similar speculations in the blogosphere, cited as a speculation in Eastern Orthodox theology about the nature of Purgatory and Hell. I have always looked at salvation in this manner. We are all born sinners, doomed by our sin to be locked up in a jail cell for eternity. Jesus dying on the cross allowed Jesus to go to each cell and rip the door off throwing it away forever. And then He tells us the good news of what He has done for us and to get up and leave the cell and follow Him. If we choose to do that then we are "saved" and will spend eternity with Him. If we choose not too then we are doomed to spend eternity in "hell". God will NOT force us to be saved. His perfection and love for us does not allow Him to take away our "free will" that He gave us. Which does not mean He cannot find a way to show us how much His love for us is and how much He will try to convince us of this.